Experimenting with text and image has become endless source of ideas and inspiration central to my studio practice. Letterforms create both spatial and literary passages, which provide a visual texture that is exciting and sometimes challenging to work with. 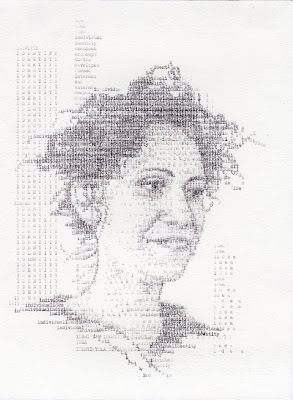 It has been a natural evolution to use writing in my visual work. 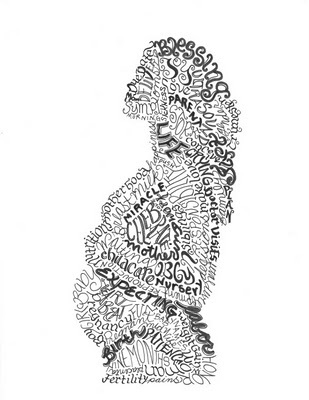 Informal sketches while doodling or writing letters to friends were my first calligrams. 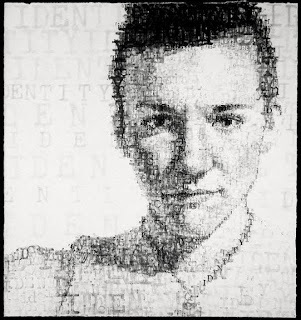 I began incorporating text in my fine art portraiture when I discovered a typewriter was an exciting image making tool. Experiencing the beauty and history of the English landscape first hand inspired my current paintings and prints. We lived at Harlaxton Manor in rural England for four months while my husband was a Visiting Professor at Harlaxton College. 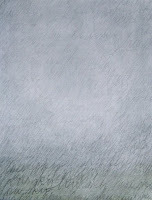 In these landscapes human presence is presented with text rather than by a plume of smoke, a village or man with cart. Thank you very much, Claudia. If in the future you have any comment or suggestions, please, don't hesitate to share them with us.